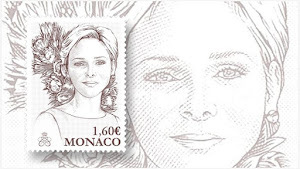 The artwork for the stamp is nicely done and Princess Charlene's beauty really shines. The correspondence with flowering roses - charming and beautiful. 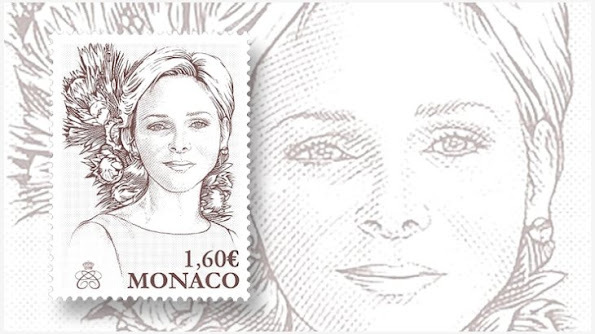 ze staat er heel mooi op , net zo als ze is. charmant ik vind het fijn voor haar !! !